Do You Know What Your Tween Is Not Eating? SARAH noticed that her daughter Anne was leaving to go to the bathroom frequently during dinner. This act might have seemed like little more than a urinary tract infection were it not coupled with the performance that encompassed mealtime. “She was making a show of eating, but not much was actually going in,” said Sarah. In North America, five of every 100 adolescents suffer from unhealthy obsessions with food, according to The Hospital for Sick Children in Toronto. 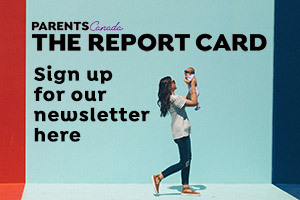 With the rate of the diagnoses growing steadfastly across North America, this raises the question: How much do parents really know about disordered eating? problems, warns Merryl Bear, director of the National Eating Disorder Information Centre (NEDC). These ailments would include (but are not limited to) cardiac and blood issues, circulation problems, damage to the digestive system and kidneys, low bone density and electrolyte abnormalities, which can lead to confusion, seizures, coma and death. structure from which the child will begin to relinquish food and weight preoccupation.” This is not something than can be fixed with a bagel. (bulimia) Websites; of those, 96 percent learned new weight loss or purging methods from such sites. In the process of searching for the helpful blogs and forums, young people are more likely to find the pro disordered eating sites first. Learning what you’re dealing with is the best way to plan to tackle the problem. Let them know you love them enough to check on their online activity. Most children know to delete history, but they might not have deleted the temp files. Go to Tools/Options/Settings/ View files to see where they really have been going. Discuss anything disturbing you find with them. It’s not always that easy, says Heather. “Eating disorders have exploded due to society’s mixed messages about food, obesity and the fashion/media influence.” It shouldn’t be a surprise, then, that there are kids using therapy to promote support for the disorder. call to a family physician. “Caring, informed parents and adult mentors help children to develop critical thinking skills, healthy self esteem and positive body image, and can put physical appearance and food into healthy context,” says Bear. Disorder encompassing pathological fear of weight gain leading to faulty eating patterns, malnutrition and usually excessive weight loss. Compulsive overeating usually followed by self-induced vomiting or laxative or diuretic abuse, often accompanied by guilt and depression. Compulsive overeating not accompanied by purging. Person exercises vigorously to the point of obsession. Deliberately regurgitating food back into the mouth to either re-chew, re-swallow or to spit it out. Abnormal preoccupation for non-nutritive substances such as plaster, dirt or blood. A lack of appetite during the day leading to overeating at night. Compulsion to eat only healthy types of foods to control weight.